My young son asked me the other day if I regretted getting married to his mother. I told him to go and look in the mirror and then come and ask me that again. You can always look back and wonder if things could have been any different, but, there is nothing you can do to change the past, so; living without regrets is more about learning to accept what has happened, than it is about what you might have done differently. 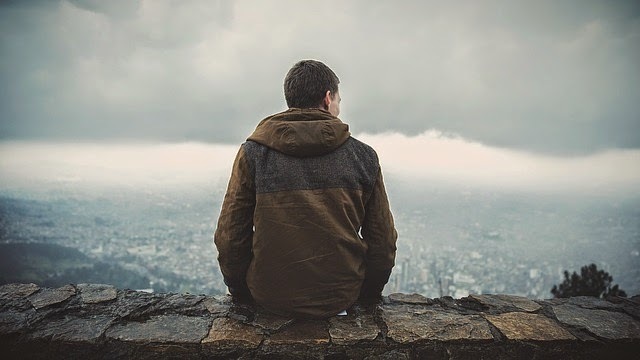 Despite the many mistakes I have made in my life, I can honestly say that I don’t regret a thing so; here are ten ideas on how you can make sure that you don’t fill your life with regrets. 1. Bloody well go for it! Some of my hair-brained schemes worked out and, some of them didn’t, but, at least I tried! Personally, the biggest regret that I could imagine a person having is to find in their old age that they never even gave life a shot. Be proud of what, and who, you are and embrace your now individuality. Towing the line and following the crowd won’t bring you happiness and suppressing your individuality is something you will definitely regret at some stage. You are going to make mistakes and some mistakes will turn out to be monumental cockups! Don’t fear mistakes though, learn from them because the only people who say they never make mistakes are the people who never take risks, try new things, or, are lying! I’m not going to get all biblical here and start talking about camels and eyes of needles, but, trust me, money isn't everything. I've lived at both ends of the financial status scale and, in all honesty, I’m happier without the flash cars and a big house because, with that, comes the long hours and heaps loads of pressure. If there is something that you want to do today and you can do it, then get with it now. Don’t put things off until tomorrow because it won’t be too many tomorrows before it’s too late! The sooner you do something in life you sooner you can recover again if it goes wrong, so don’t delay. Can you imagine what it would be like to lose someone whom you had never actually told how much you cared for them? Don’t be afraid to show people that you love them and, equally, don’t pretend to like people that you don’t! I once had a wealthy friend who always turned his jacket inside out when he took it off and placed it on a table, or on a chair beside him. That always said to me that he was more worried about what people saw on the outside than what was really going on, on the inside. If people want to make judgements about you then leave them to it. The only person that you really have to answer to is you. Don’t over analyse things and spend your life working out all the pros and cons. You will always be able to find a reason not to do something and, sometimes, it’s best to just follow your heart and your gut instinct. Appreciate what you have, in the here and now, and make the most of every moment that you get. Things can change very rapidly so, always be grateful for what you have and never take things, or people, for granted. Life never stands still and nor should you. I used to spend my time dwelling on what could, or what should have, been but, now, I choose to look forward to what could still be. What’s’ to regret, when there is still so much to come?